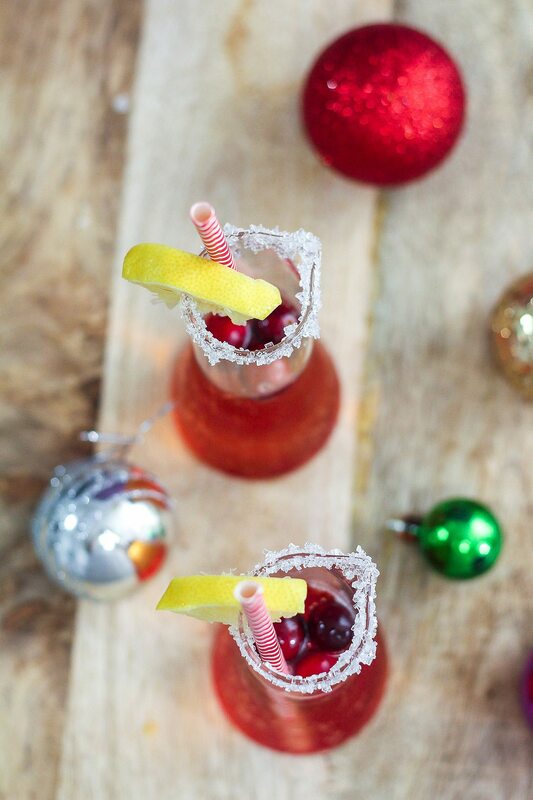 TGIF + Cranberry Ginger Mocktail = bliss ♥Full-time food bloggers, I have a question for you. How does it feel to be cooking/baking, eating and getting paid for it? Don’t cha think that you guys have one of the best jobs in the world? I am not a full time blogger so I do not really recognize how it feels. 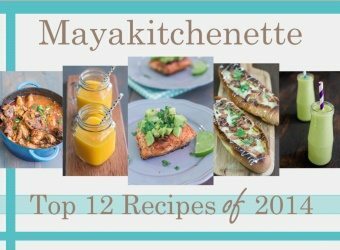 However I know when Thanksgiving was approaching, I got to try a whole lot of pumpkin recipes for the purpose of “blogging” and it was awesome. I obviously gave half of the bakes away for damage control. 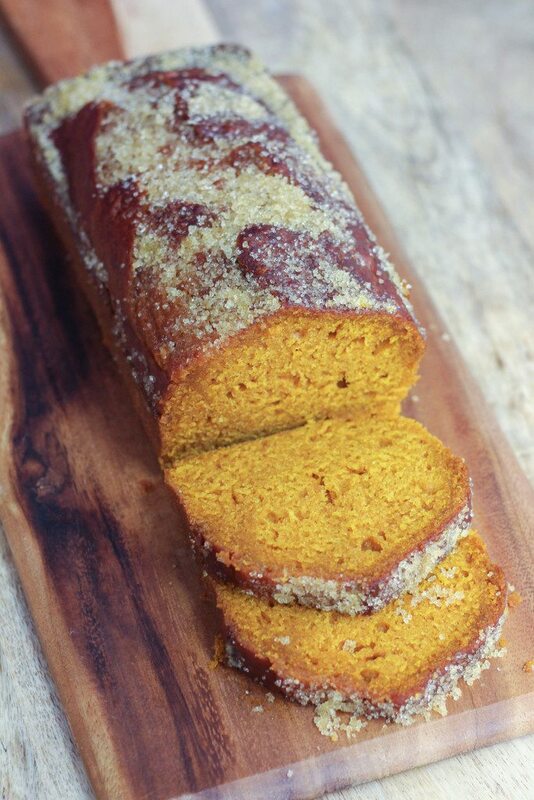 This Delicious Moist Pumpkin Bread has to be by far my favorite bake of the year. It was so delightful, moist and luxurious. Would you judge me if you saw me licking my lips right now? It is the holiday season and every other person that I know is away on vacations. My Facebook timeline is flooded with people posting their holiday pics. I feel like I wanna go somewhere as well and that too somewhere snowy. Imagine sitting by the window, watching the pretty snow falling outside with a Pumpkin Spice Scone in my right hand and a mug of Pumpkin Spice Chai Latte in my left. Isn’t it THE life? After making this 3 Ingredients Cranberry Sauce, I now look at cranberries in a different light altogether. Everything has changed and now I look forward to seeing what can be done with these pretty red rubies lookalike. Obviously you can use the concentrated cranberry syrup, but it is not really the same. 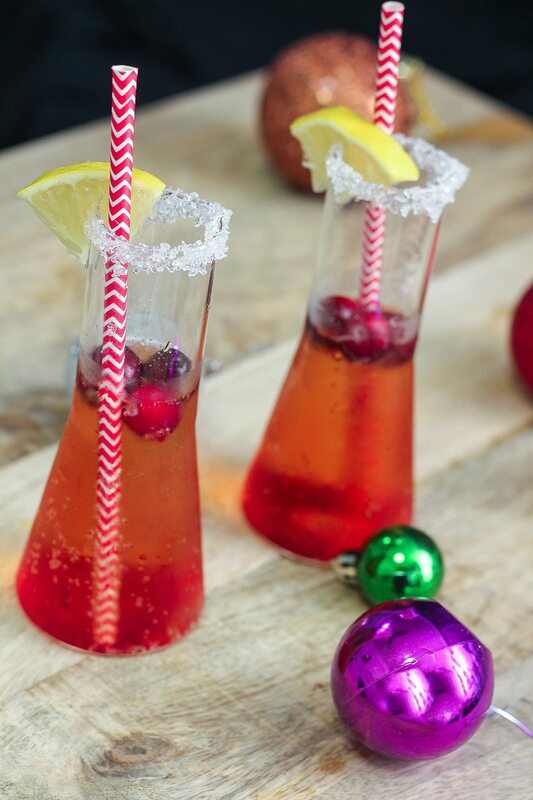 Cranberries are in season and what perfect timing to utilize, isn’t it? It is also convenient that you can make the cranberry syrup many days in advance. A good mocktail often calls for a layer of flavors and in this mocktail, I love how we have an amalgamation of the heat from the ginger ale against the sweet and tang of the cranberries. You can add alcohol to this if you prefer. This non-alcoholic version however is suited for everyone, adults and kids likewise. 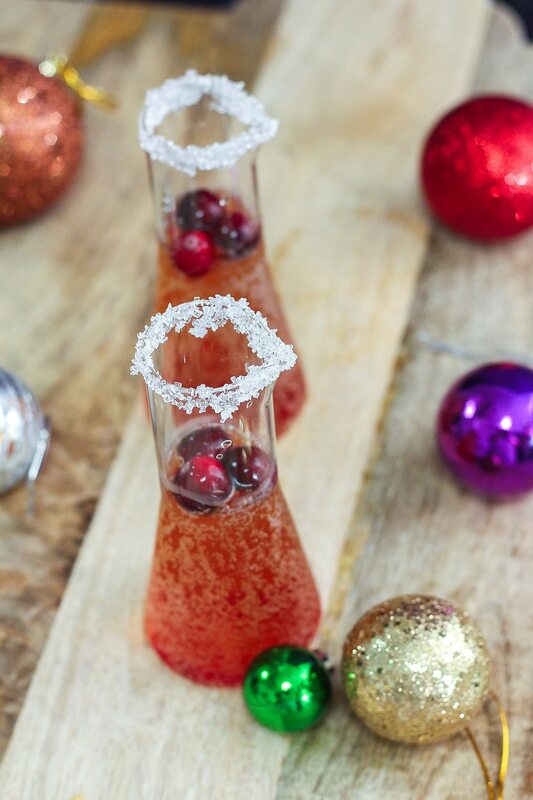 This Cranberry Ginger Mocktail is delicious, sparkly and packed with fresh flavors. I hope you will give this a try for Christmas. It’s an absolute perfect mocktail for this time of year, although I would really have a glass of this all year long. Okay, make it 2 glasses, please. It’s Friday after all. In a saucepan place the water, sugar and 1 cup of cranberries on medium heat. Cook until mixture starts boiling and becomes thick. With a wooden spoon, mash the cranberries lightly and cook for a further 2-3 minutes. If you prefer your syrup to be smooth and clear, you can strain the sugar mixture and discard the cranberry bits. I personally prefer to leave the cranberries in there. On a flat plate, pour some sugar. Run a wedge of lime or lemon around the edge of the glasses you would be using. Dip the glass in the plate of sugar. Place 2 tablespoon of cranberry syrup in each of the glass. Pour ginger ale into the glasses till ⅔ full. Add a splash of sparkling water is you prefer your mocktail less sweet. Garnish with a few cranberries and top with ice. Ummi tak pernah nampak cranberry segar. Maya beli dimana?